Now that it's November, it's time to get serious about having fun this Christmas! It's not too late to start rehearsing a Christmas play to add a festive and fun sparkle to your holiday season. 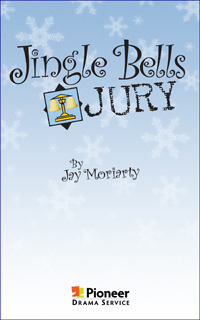 These top-selling Christmas plays are easy to stage with very simple sets and costumes. Besides the shows spotlighted below, including our latest release, Ho Ho Ho! 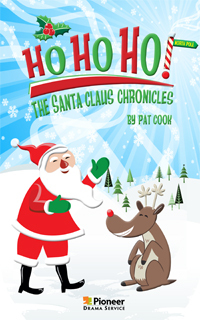 The Santa Claus Chronicles, check out all of our Christmas plays and Christmas musicals. We also have a wide selection of Christmas Carol adaptations on our website. JUST RELEASED IN TIME FOR THE HOLIDAY SEASON! Ho ho ho! 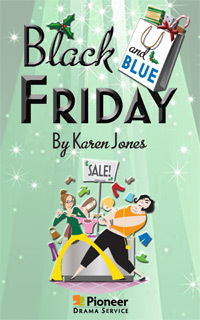 Here’s a fast, light-hearted Christmas play with plenty of small roles to give everyone their moment in the spotlight. If you’re looking for something different, this is the ideal holiday play. Not only is it delightful and entertaining, it is also easy to perform with a role for everybody. 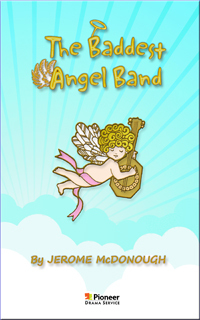 Perfect for church or Christian school functions, this creative allegory unwraps the true meaning of the season — it’s not about all the gifts, but about God’s gift to mankind. It’s the day after Thanksgiving, and all Ellie and her new husband, Jackson, want is to celebrate their first holiday season at home together. But their holiday peace and quiet quickly turns into holiday chaos when they are summoned to the security office at the local mall. Teen angels Cherry, Spir and Angelina are about to be expelled from Angel School for playing Frisbee with the teacher's halo and for insisting that thunder is caused by angel burps. 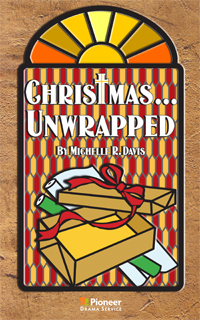 This hilarious thought-provoking play will be a high point in your Christmas season and a fun project for all. 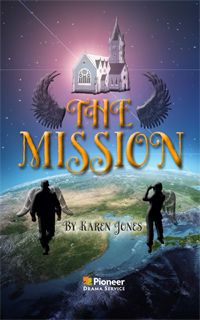 Suitable for all ages, The Mission is perfect as part of a church service or anywhere you desire a humorous skit with a strong Christian message that’s appropriate at Christmas, Easter or any time of year.